An objective, by definition, is a thing that is sought after or aimed for. In the case of a resume, your objective is your desired job. Resume objective statements are a great way to directly tell the reader your future career goals and, if they are written right, they can quickly shine a spotlight on your traits that make you the ideal candidate for the position. On the other hand, it has often been argued that resume objectives are outdated and obsolete. While it’s true that they are not always necessary, it’s also accurate to say that if you decide to include one and it focuses on the right topics – your skills and abilities – it can also help to persuade the hiring manager that you are the right person for the job. Before you make the decision to include or exclude the objective for your resume, read on to see exactly what it can do for you! What is an Objective for a Resume? A resume objective is simply one or two sentences under your heading that states your goals for your career. The great thing about your objective is that it can be tailored specifically to suit the position you are looking for and make you look like a top candidate for the job. Are you aiming for a career in sales? Tweak your objective to be the top salesperson in your field. Is sales not your thing, but you are looking for a teaching position? Focus your objective on why you have what it takes to be an amazing educator of young minds. When you think about what to put as an objective on a resume, consider the skills or experiences that you have that make you the perfect candidate for the position. Think about what you have experienced in your life thus far that ties in with the job and what your future career goals are, and include these in this short paragraph. The objective statement does not have to be about your work history – this is your chance to show off your skills instead of your experience if that is not your strong suit. If you have impressive accomplishments or awards in the field you are applying for, the resume objective statement is a great place to highlight them. From there, you can segue into your future aspirations for you and for the company that you hope to work for. In general, although the objective is an optional part of your resume, it’s an excellent opportunity to add a little flair and highlight your selling points. You can confidently show a potential employer that you know your strengths and prove your background in the business. When Should You Include a Resume Objective? It’s never a mandatory part of your resume, but the proper use of a resume objective can help you stand out from the crowd of applicants regardless of your experience and background. If you do not have much work history because you are new to the job market. Recent grads often have minimal experience working, so to explain this lack of job material and highlight your education and skill, you can include a resume objective. If you are making a career change from an area where you have plenty of experience into one where you have little or none, you should include a resume objective explaining your career goals and give a quick explanation of why you are making a switch. If you are new to an area or plan to move to a new area, you should include this in your resume objective. This is particularly necessary if you have not moved yet, as some employers will automatically veto your resume because your heading and contact information shows that you live out of town. If any of those scenarios sounds like it may apply to you, you should go ahead and include a resume objective statement. So you know you need one, but you are still wondering, “What’s an objective on a resume supposed to look like?” With a little bit of research, you can get some great resume objective examples, but you don’t want yours to look like everyone else’s – you want something incredible! Here’s the key to writing resume objective statements: you need to customize them to match the position you are trying to obtain. Unlike the rest of your resume, it’s not a one-size-fits-all approach. Your education is your education, regardless of the job you are applying for. Your work history is your work history, no matter what – although you can adjust the skills to those that are relevant. But your objective needs to be tweaked to match the specific requirements of the job you want to get. This means that you may need to do a little research into the industry related to the position in question. Find out what skills are necessary to do the job and then include those skills and any related experiences into your resume objective statement. Pay close attention to keywords in the job advertisement and those that you see repetitively in your research. Include these keywords in your objective and in your skills and experience sections in your resume. 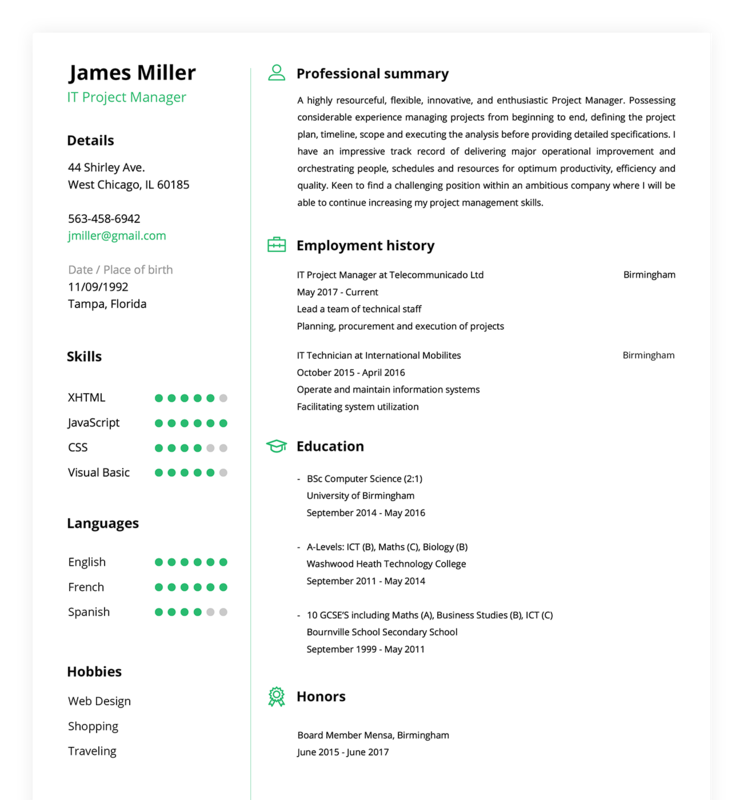 This will catch the eye of the reader and may also increase your chances of making it through a computer resume scanning system. One more important thing to note: Make sure your career goals align with the company’s mission. If you are using this job as a stepping stone to bigger and better things, keep your goals focused on the growth you will gain in the position you are applying for. Try to avoid mainly talking about you and your desires and include a sprinkle of that and a sprinkle of what you can bring to the table if you are hired. Seeking a position in the education field in which I can utilize my passion for furthering children’s education and overall values. Keep it concise and to the point. Try to take out filler words that are unnecessary, like articles (a, an, the), like in this resume objective sample. Fully certified accountant with a master’s degree and three years’ experience seeks accounting position at XYX Accounting. Make it specific to the position for which you are applying after you have read the job description and researched the required skills. Then include your relevant attributes and experiences. The objective statement tells the reader what they are going to see more of in the rest of your resume, so use it to grab their attention. To obtain a position at ABC Newspaper where I can maximize my previous reporting training, writing abilities, and editing skills. If you’re new to the job market without much experience, lead this with skills that you know you are strong in. Maybe you have excellent organizational skills or you get along well with others. Maybe you were always picked to be the leader in high school or college groups. All of these are important traits to many employers. Seeking to obtain a position at QRS Physical Therapy in which I can utilize my strong organizational skills and dedication to excellent customer service to further build my knowledge of the physical therapy field. Now take this sentence that you just created about your career goal and add another sentence about how you are the ideal employee because you can bring great things to the company if they hire you. Seeking a position in the education field in which I can utilize my passion for furthering children’s education and overall values. With my dedication to each individual student’s values as a person, I will help create a team ethic that will reach school-wide and beyond. Once you have your two strong sentences, you can move on with the rest of your resume, knowing that you have made a statement that defines who you are and what you want. The rest of your document will take your history and experiences and reinforce your resume objective statement. An objective for a resume is a personal choice. It is not required, but as you can see, it is an excellent way to show yourself off as a solid candidate. The one or two sentences that you include may be the reason you stand out to a hiring employer. When you create a strong, powerful resume objective, you highlight your values and skills and make your resume resonate just a little bit stronger in the reader’s mind. That little bit may just be the deciding factor between you and another candidate, and it may help you get the job.